Gardening is a way of life for my family. Just today, we picked over 30 pounds of green beans! Not only is it a great way to keep the cost of feeding 6 kids down to a reasonable amount, it also ensures we know exactly what we are eating. Ark Survival has come out with a pretty nifty product for those who are interested in gardening and also for putting away the option to garden for less "stable" times. Preparing for a disaster usually brings to mind tasks such as packing a "bug-out" bag or having enough toilet paper for a year. If you don't have access to a steady and reliable food supply, however, all of your work will be for nothing. Gardening in the event of an unstable food supply may be made easier (and safer) with the help of a good stash of heirloom seeds for the vegetables your most likely to grow and eat. The seeds we looked at from Ark are 100% USA, heirloom seeds. That means they aren't hybrid or GMO, and they were sourced right here in the states. They also come with a lifetime guarantee. If stored properly (in a cool, dry place), they can last a very long time. Each packet has complete instructions for planting. There is also access to a complete survival guide which can be gotten online! Whether I'll use these seeds up next year for my regular garden -- or save them for dire times -- I haven't decided yet. 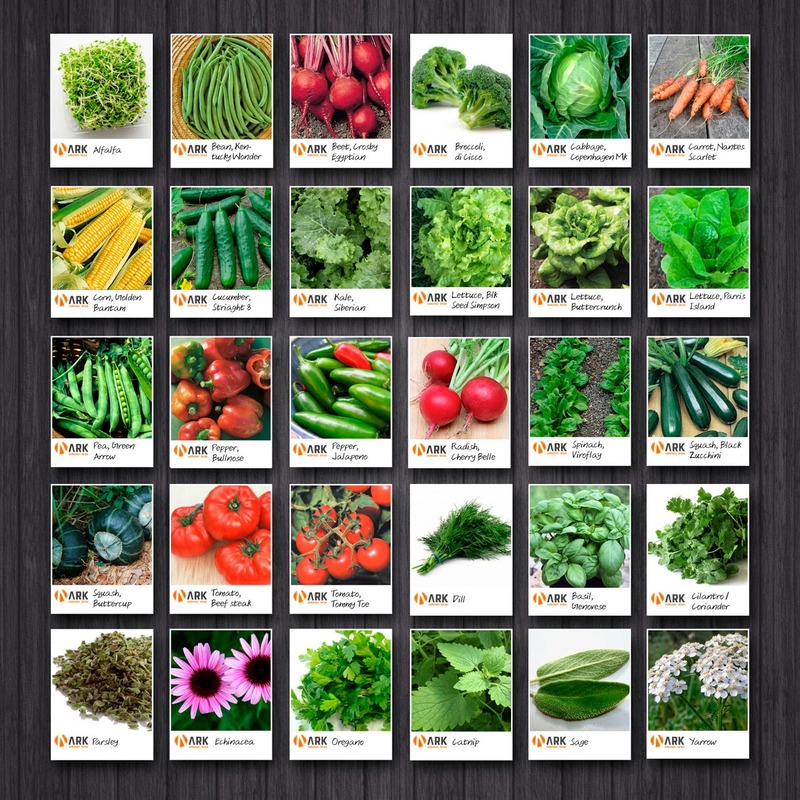 Even if you buy these for your everyday gardening needs, the price is right for this many Heirloom seed varieties. You can order these directly from Amazon.com!